Vodafone Essar, one of India’s leading GSM mobile service providers recently announced the launch of 3 new exciting GPRS services at 3 different price points that are at Rs 17, Rs 27 & Rs 58 with FREE Data usage of 30MB per day for a period of 3, 7 & 15 days respectively. These GPRS Packs can ONLY be used on the Mobile Phones and not on Laptops or Computers. To avail these schemes, simply E-Recharge your account with the respective amounts, like if you want to go for “GPRS PACK 58”, then an E-Recharge of Rs 58 will activate this scheme within 3-4Hours. You can also activate these schemes with the help of sms; just send SMS as “ACT VL58” to 111(Toll-Free) for activating “GPRS PACK 58” and likewise for rest of the two schemes. 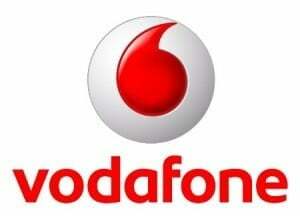 These schemes cannot be availed if a Vodafone customer already has 2 or more than 2 schemes, in this case, to enjoy any of the below mentioned schemes you need to discontinue any ONE of the scheme. For More Information, Call Vodafone Care on 111 from your Vodafone mobile phone or on 9820098200 from any phone, anytime.